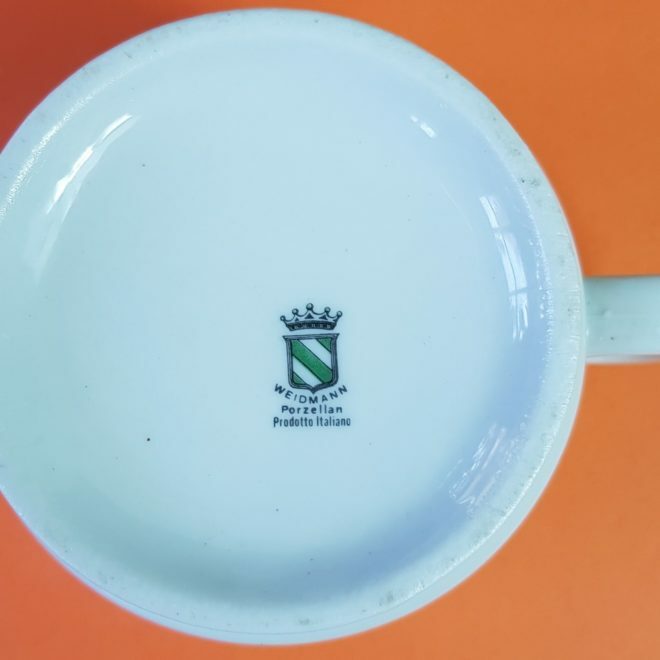 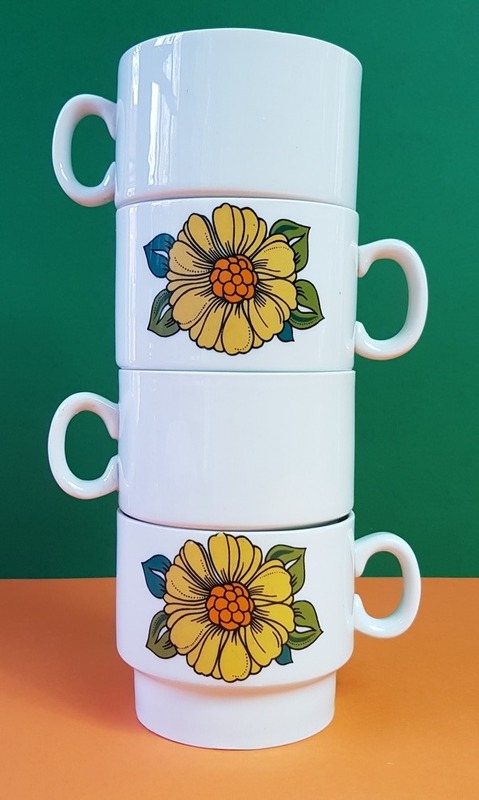 Great set of 4 porcelain mugs, made in Italy by the Weidmann company and dating from the 1970s. 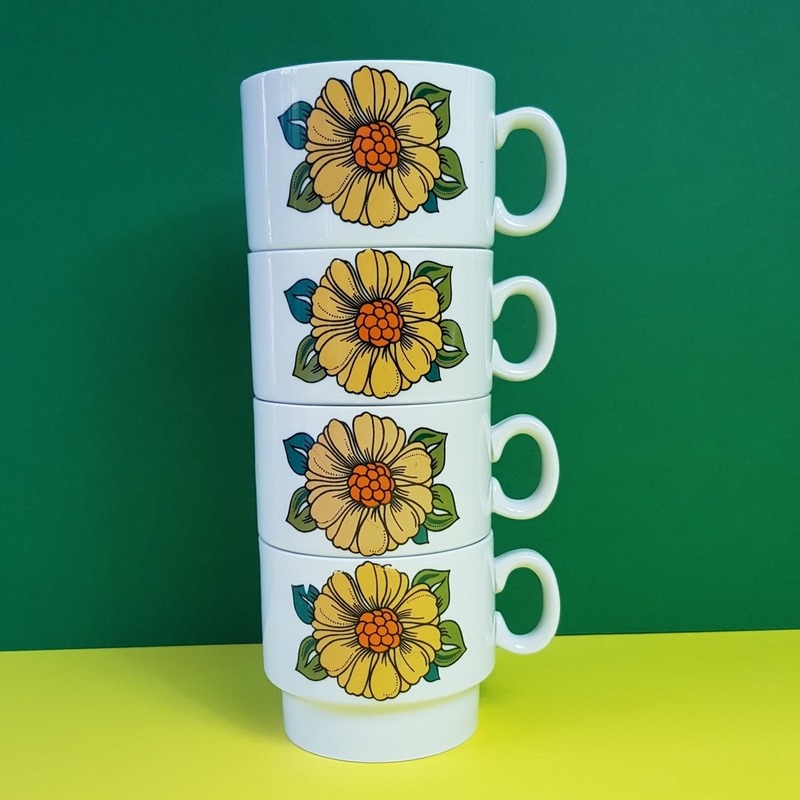 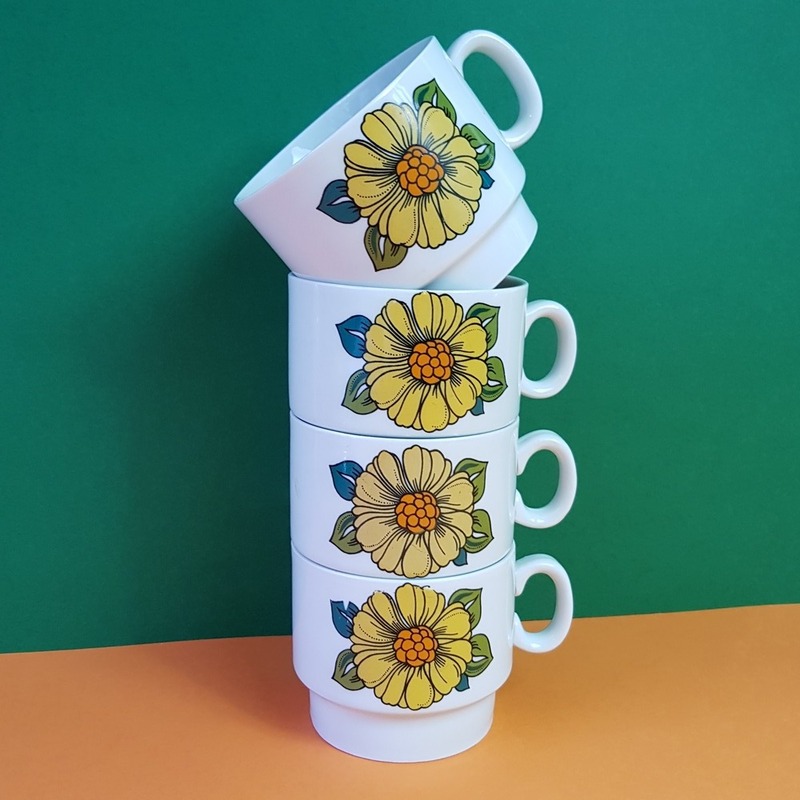 Weidmann porcelain had a wide range of very typical 1970s “Flowerpower” designs, and these mugs printed with sunflowers are no exception. Vibrant with no loss of colour they still look as good as they did 40 odd years ago! 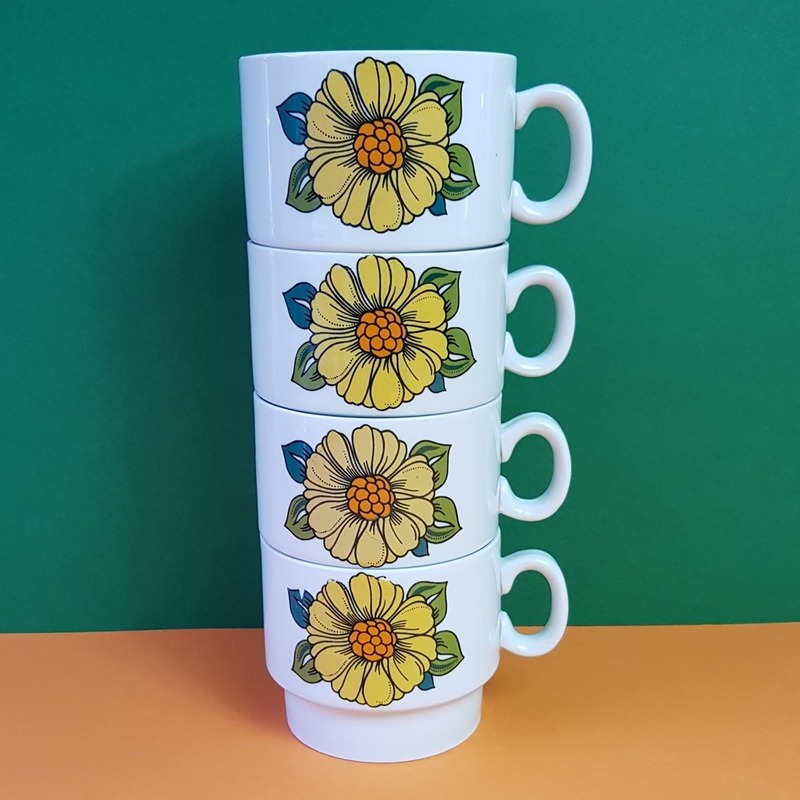 A wonderful addittion for your retro home or camper!